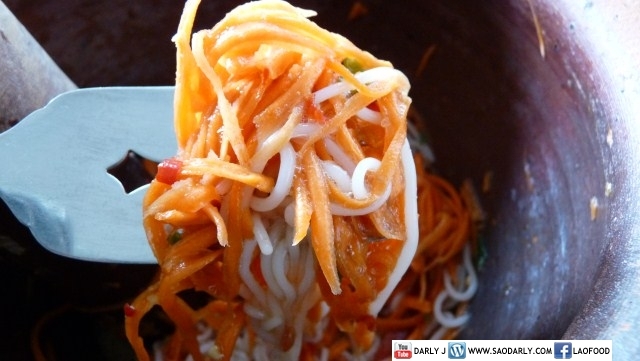 When there is no green papaya on hand, the next best thing is carrot salad. 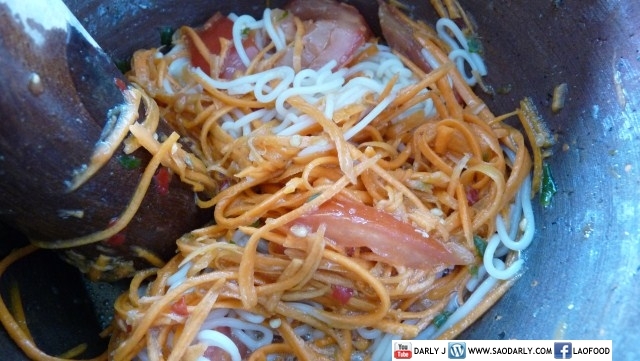 Just substitute shredded carrot for shredded green papaya for a nice and crunchy salad. 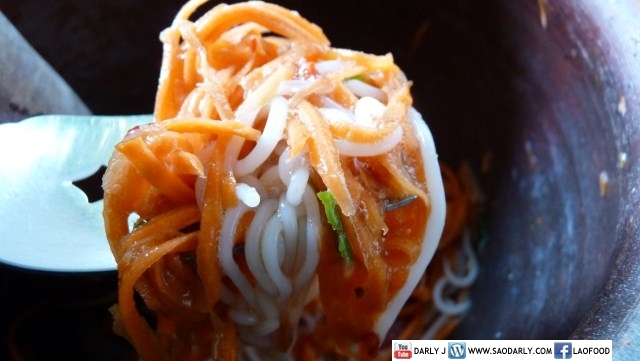 You can add some rice noodle to make Carrot and Noodle Salad for a quick lunch or dinner. 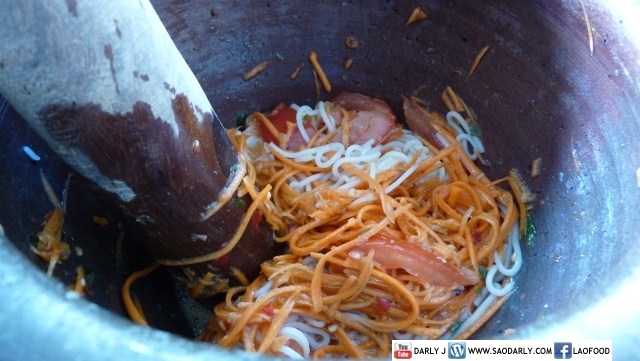 My two aunts (Aunt Kian and Aunt Phone) in Vientiane prefer to have Tum Carrot (Spicy Carrot Salad) over Tum Mak Houng. 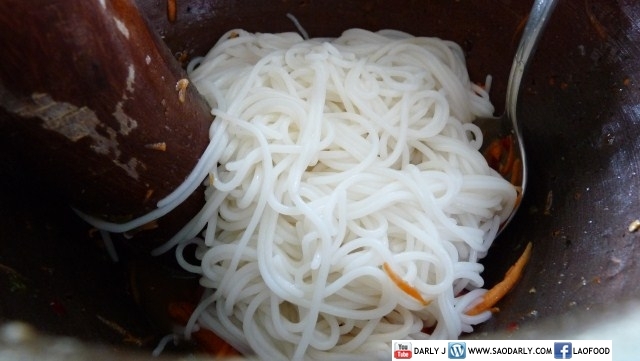 The first time I met them in January of 2007 they made Tum Carrot and Jeun Pa (Fried Fish) for dinner. They told me carrot costs more than green papaya in Laos but they like the taste of Tum Carrot more than Tum Mak Houng. I told them we should switch places so they can eat their carrot over here while I will eat my Tum Mak Houng on a daily basis in Laos.